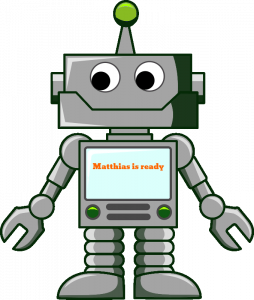 Free Homework Help from Matthias - the Your Maths Tutor maths bot! Not sure where to start with a maths homework problem? Wanting to check if your working is correct? Your Maths Tutor, in partnership with Mathway, now brings you Matthias, the Your Maths Tutor maths bot. Meet Matthias the maths bot! Below is a WhatsApp-style chat box. Type your question in the chat box and Matthias will give you a solution. Click on the menu (top left of the chat box) to change the onscreen keyboard depending on the subject area. The top right menu gives examples of the kinds of problems Matthias can help you with. And he doesn’t just chat to you: Matthias can plot graphs, refer you to his maths glossary (in case he throws in any words you haven’t heard before) and even provide step-by-step instructions (you will need to create a free Mathway account to access this service). Do you find this service helpful? If you would like more information on how Your Maths Tutor can support you or your child then please do contact us.